Sometimes people are surprised when I say that Phyllis Hyman is one of my all-time favorite singers. Either it's because they have no idea who I'm talking about (how rude! ), think I'm too young to even know who that is (age ain't nuthin' but a number...) or they know me well enough to say, "Well, what about your faves Whitney Houston and Mariah Carey?" Yeah, so...what about them? It is possible to have more than one or two faves, ya know? Still I like to respect my elders, as before there was a Whitney or a Mariah there was a Phyllis Hyman and she was snatching edges with her vivacious megawatt vox long before all my faves even stepped up to a mic. If you think I'm being facetious, then simply glide yourself towards Phyllis Hyman: The Retrospection Mixtape, and get schooled as the hour and half-long mix is not only a perfect primer to Hyman's extensive catalog, but is also a fitting tribute honoring the sound legacy of the 'Goddess of Love'. Culled by mixmaster Brandon Ousley aka Brand​oSoul, The Retrospection Mixtape covers a wealth of Hyman's most classic numbers such as "Under Your Spell", "Can't We Fall In Love", and my two personal favorites, "Gonna Make Changes" and "Living All Alone". There's also some hidden gems in there such as the material she recorded for her 1981 through 1983 Broadway stint in Duke Ellington's Sophisticated Ladies musical as well as her version of Chaka Khan's much beloved, "Sleep On It". 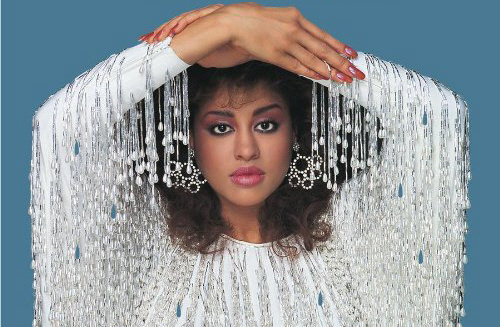 Phyllis Hyman passed away on June 30, 1995. 20 years later, her legacy and work remains immeasurable in every sense. She possessed unique vulnerability, grace, and elegance, mixed with her velvety voice that lured you into the deepness of her soul. There was no doubt that she was a statuesque black woman of stunning beauty, whose fashion and glamour continues to be highly influential and emulated today. Above all, it was her talents as a singer that were recognized highly, and at other times, criminally overlooked. Personally, I've always viewed Hyman in two entities: one as a female vocalist, and the other as a jazz singer. Collected here in this 90-minute tribute mixtape, "Phyllis Hyman: The Retrospection Mixtape" is a blend of those two specific entities. Her message and work always explored the facets of love. Whether it was about the joys of being in love, the pitfalls that love brings, or just the loneliness that one feels when love is absent, Phyllis told and lived it all.